Laser Tag 2-Pack Just $39.99! Down From $100! PLUS FREE Shipping! You are here: Home / Great Deals / Amazon Deals / Laser Tag 2-Pack Just $39.99! Down From $100! PLUS FREE Shipping! Score this Laser Tag Set For Kids With Multiplayer Mode 2-Pack at Amazon for just $44.94 down from $99.99 PLUS FREE shipping! 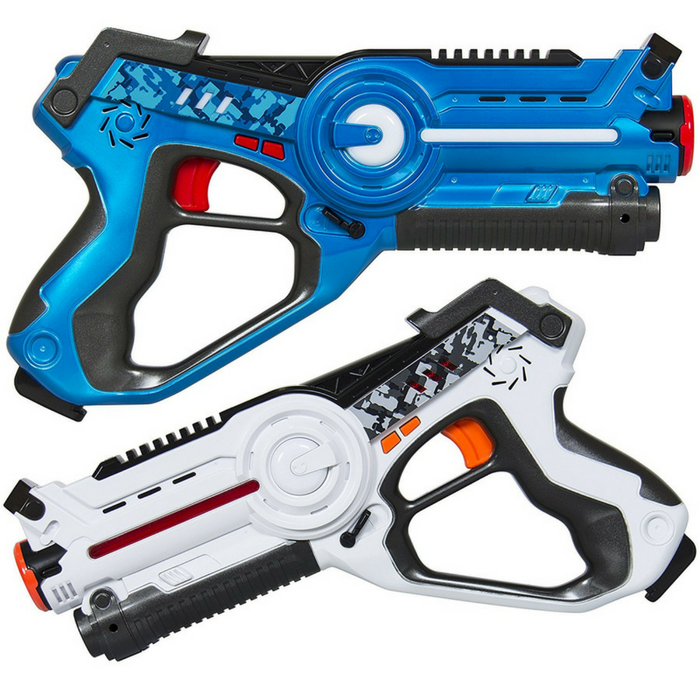 Best Choice Products presents the 2-Pack Lazer Tag Force Guns. These blaster guns are constructed of non-toxic ABS plastic. Battle a friend or build alliances to take on up to 4 people with the multi-player mode. Get strategic and choose between pistol, shotgun, submachine, and missile launcher. Each setting has a different ammunition level and number of possible hits. You have the ability to change the setting during battle and reload! 3 lights indicates how many lives you have left with each player given 9 lives for each battle. An infrared receiver, located on the front of the lazer blaster, tracks and registers hits. Enjoy a fun battle in the park or in the office during breaks with max strike distance of 40 meters. Dominate friends and family today in a friendly battle of laser tag!